Ever since my teens, I have been dreaming of surfing the most exotic and iconic surf spots in the world. Finally, I have the time and means to do so. Peru isn’t exactly exotic, but it is one of the most iconic and historic surf destinations. 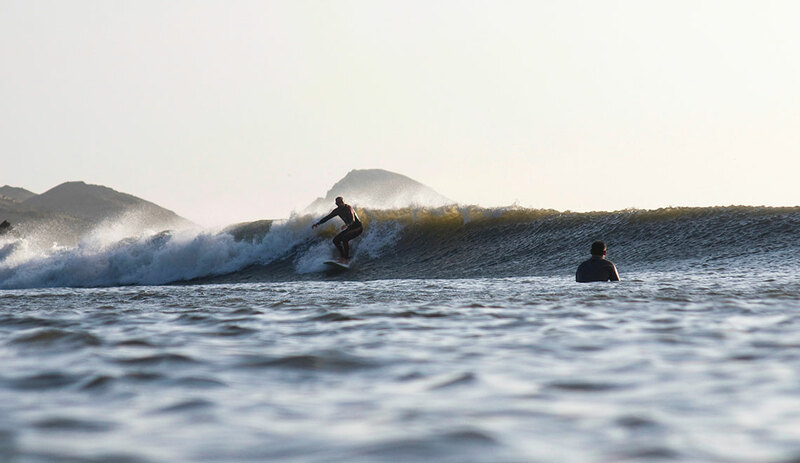 Mainly, because Peru has one of the top 10 waves in the world: Chicama. 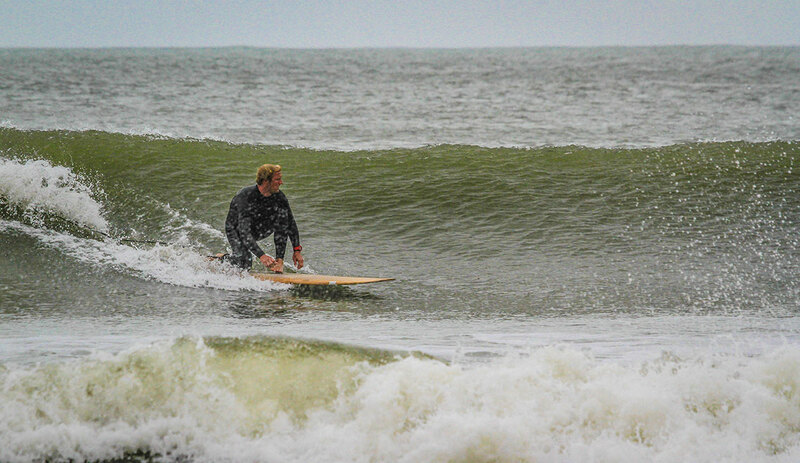 If you ask any surfer, chances are they know Chicama as it is the world’s longest left. I always wondered why few people actually surfed there. Now, I know why. 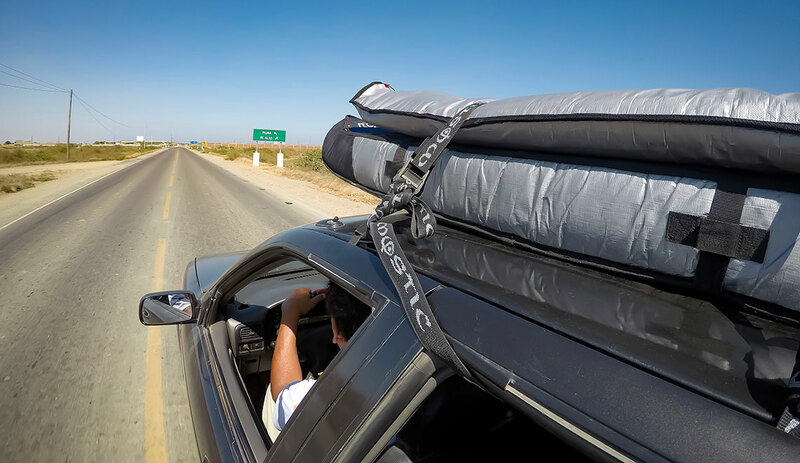 Going on a surf trip to Northern Peru feels like a pilgrimage, enduring hardships along the way, with day-long drives through rough terrain. It is much like being in a Star Wars movie where Jabba the Hut rules the sand-covered desert towns. Of course, you can get to Chicama faster, if you take a flight from Lima to Peru and then a 1-hour taxi ride. But, we decided on a bigger adventure. My surf buddy and I, traveled all along the coast, from Piura to Trujillo and visited 4 different surf towns. 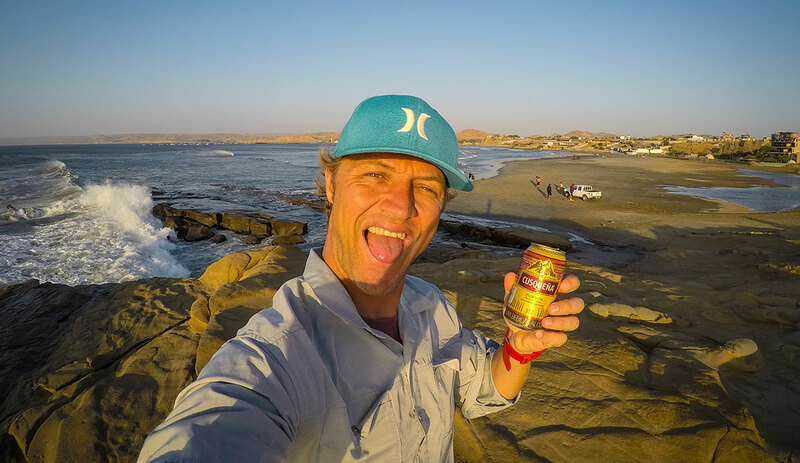 While researching our trip we found little information on Northern Peru, so I hope this article helps you out, planning your surf trip. We visited in June, which is winter time in Peru. During the day you can wear shorts, combined with a light sweater. During the night it cools off. The water temperature was quite alright, but you do need a wetsuit (I had a 3/2 mm). I flew from Lima to Piura, where my buddy was waiting for me. From there, we took a private car to Mancora. The 2.5-hour drive is quite nice, crossing through rice fields and spotting birds of prey. 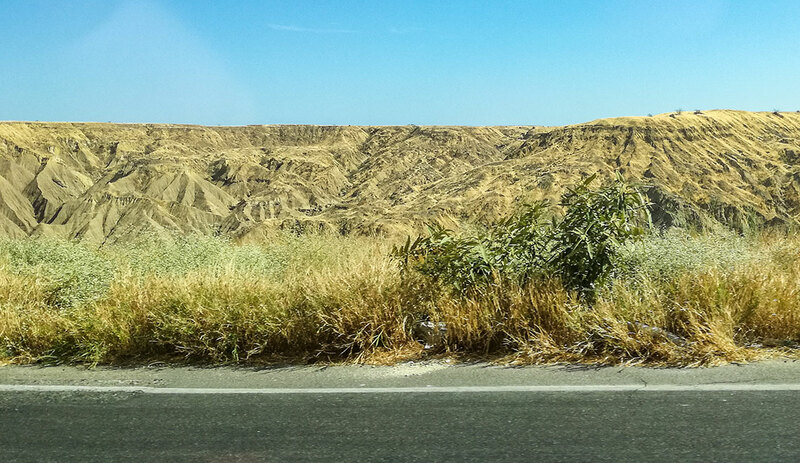 At one point, you drive into these incredible desert canyons where petroleum companies rule the land. Mancora is a nice, clean little beach town. The food, as almost anywhere in Northern Peru, is surprisingly good. 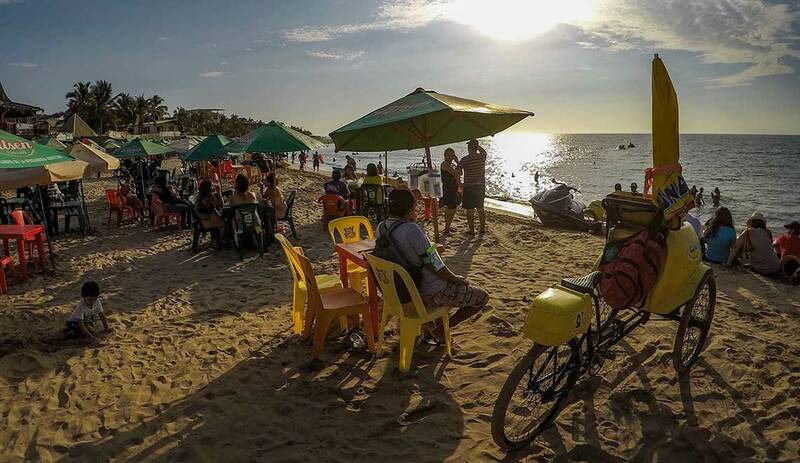 There are quite some options for good restaurants, as well as a couple of beach bars with lots of locals enjoying the beach life. The main break is a point break, with quite an easy entry almost right on the beach. You can stand pretty close to the action. Unfortunately, the swell direction we had was off so we did not get the perfect peeling left, which it can be. We did have a sunset and sunrise session with hardly any wind and waist-high glassy sets, and it turned out to be a nice warm-up of things to come. Don Giovanni – Right on the main break. Small hotel, with a charming lobby. A small bar and breakfast area. The location is literally steps away from the point break. In search for better waves, we took a private car from Mancora to Lobitos. The other option is to take the EPPO bus to Talara and take a mini-van taxi to Lobitos. Either choice, the last 10 kilometers you drive on a dirt road, which is privately owned land by a petroleum company. If the drive already seems surreal, wait until you get to Lobitos. Lobitos has a large bay with a pier splitting it in two. Way left is the main point break. To the right of the pier is the Piscinas spot. It’s about a 15-minute walk between the two, but you can also take a tuk-tuk. Lobitos as a town is not that much, just some houses and a couple of restaurant options. It all feels flat with much creativity. With such an international, well-traveled community you would think they can make a place like this special. Anyway, in the end, it is all about the wave. The waves at Lobitos are incredible, with big barrels around the point. Although, the hard winds we had and the strong currents, made it hard to navigate the line-up. Also here, we got a bit unlucky. But what can you do, it’s a surf trip! Be sure to catch the sunset in the hills at the main break. In the distance, you see many drilling platforms, which adds to the already surreal setting. The wideness of it all, the roughness, the pure beauty of the sun setting, a Peruvian beer in my hand, absolutely mesmerizing. Hotel Lobitos – It’s a five star for location. You have an excellent view of the main break and within 60 seconds you are at the water’s edge strapping on your leash to go surfing. This is where the trip got rougher. After traveling across the world, it was finally time to set course to Chicama. Butterfly time!! We decided to take the bus (El Dorado bus company). This is pretty cheap (about US$10-$20) and they have quite nice tour buses. Except, nobody told me it was going to be 9 hours! The trip takes you right through the Sechura desert, which is flat, dry and endless so not a whole lot of variety in the landscape. The bus dropped us off in Paijan, from where we took a cab (well, a car from the 60’s, barely driving) to Puerto Malabrigo. This is where the wave actually is, not in the more inland town of Chicama. The town, Puerto Malabrigo, is small, poor and nothing much, really. The main street with small surf hotels is about half a mile long. On one side, you have the main break, on the other (literally the other side of the hotel): desert. So, if you travel with somebody that does not surf, I recommend spending more money and staying at Chicama Surf Hotel & Spa. They thought of everything to make your surf life easier (showers, jacuzzi, etc) but also have good food, a bar, game room with pool table etc. Plus, the stairs down to the beach are across the street and the view on the main break from the pool is incredible. Now, the wave… This is something else… A wave machine…. Perfection… Lines, lines, lines… We had waist high to head high days and we had the best time ever. Please, spend the extra money on hiring a boat driver for your sessions. They pick you up at the end of your ride and drop you off at the point. Your wave count increases dramatically as the current can be strong and you have to paddle a long way back after the super long rides. We had one small day, where we rented longboards and we didn’t need the boat assistance. Hard printed in my memory is the day the lines were coming in, non-stop. The sun glistening on the waves, taking the boat ride back to the point after another perfect 1-minute ride, throwing shakas at my buddy and just feeling that smile on my face, ear to ear, the boat barely making it over the sets of peeling lefts. All the hours of travel, forgotten. This is surf perfection. Chicama is a super fast wave and many surfers also recommend (or even prefer) nearby Pacasmayo. Pacasmaya is less wind sheltered than Chicama so we decided not to go. Also, we crossed the town by bus and it looked horrible. Let us know in the comments if you’ve been and your experience. To get a little break from Chicama, at about an hour drive, you will find a quaint touristy town, called Huanchaco. 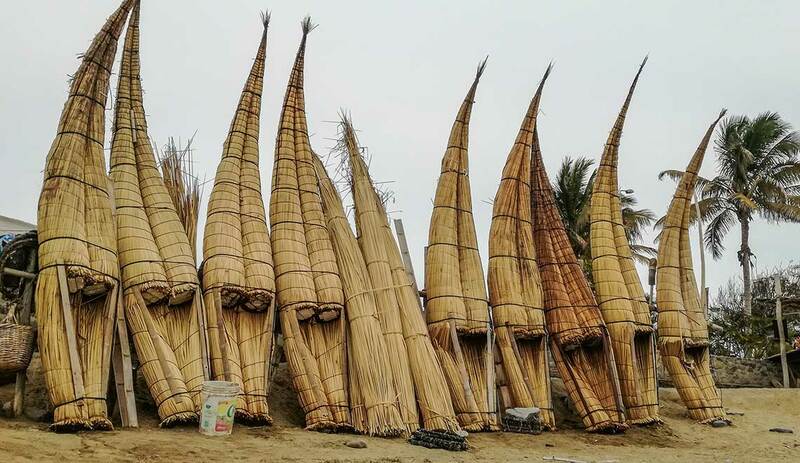 This place is famous for inventing one of the world’s first surfboards: caballitos de totora (there were also surfboards invented in Polynesia and West Africa). There is a pier in the middle of town with surf breaks across the bay. The center is lively with many hostels, restaurants, and street vendors. Of course, we did get a surf session in. Although the water felt a bit polluted, the waves were great. And super fun to see the caballitos de totora paddling by in the morning. As all things else in Northern Peru: surreal. Our main reason for the visit was not the surf, but the historic sites. A 10-minute bus ride takes you to Huaca del Sol y de la Luna and allows you to dive into the rich Peruvian ancient history. I must say, I’ve been to countless historic sites all over the world and this is a fun visit, but not jaw-dropping (like Machu Pichu). Afterward, we took a taxi to nearby Trujillo. 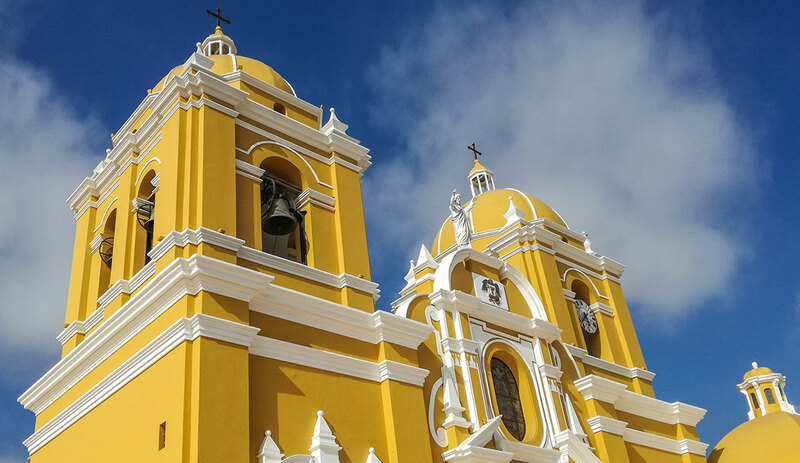 Trujillo is a somewhat larger city with a historic center and definitely interesting enough to explore. And not to forget: they also have great food! 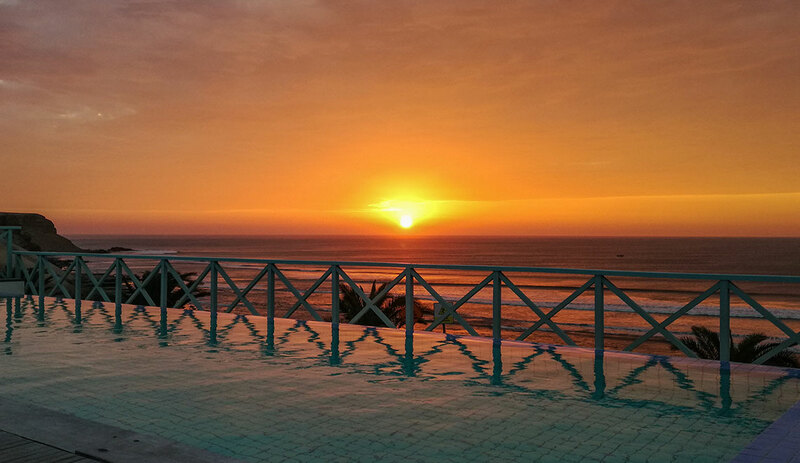 Hotel Bracamonte Huanchaco – Friendly resort, close to surf and city center. The main point is about 200 meters away. When we dove into the history of Northern Peru and learned more about the Moche culture, it became clear they were highly connected to the ocean. Logical, as they could not cultivate enough food off of the desert land. So, for them the ocean literally meant life. This is well represented in their art drawings. The most memorable one is how they draw the ocean. In Europe, we draw an ocean by drawing curly lines. In Peru, they draw straight lines. I didn’t understand why until I saw the Peruvian swells with my own eyes, always creating lines, lines, lines. For a surfer, this is the ultimate beauty, especially when those lines hit perfect, wind-sheltered point breaks. Buenasooo!!! To be honest, I never felt too comfortable in Peru. It was rough, desert, not much to do besides surfing and lots of dirt. Wherever I travel in the world, there is always this house or location where I think to myself: “How cool would it be to live there?”. In Northern Peru, I did not find such a place anywhere. Peru just didn’t ‘click’ for me. It’s weird; I had such amazing experiences surfing those incredible waves, throwing shakes to the Peruvians, those surreal vistas, but at the same time I would not want to go back. It also did not help that I got extremely sick the last day from eating something wrong, which made the 3-day travel back home tough. So for me, it was literally a once in a lifetime experience, but a special one. If you love surfing, do the pilgrimage. But you might not want to bring your non-surfing husband or wife.